Sweet Lie Or Bitter Truth? 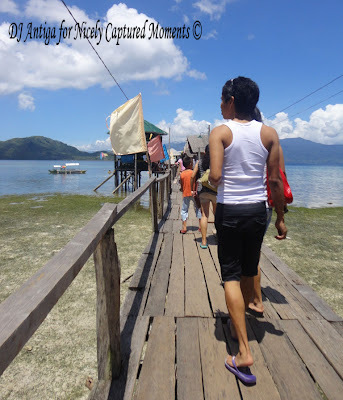 I've been hearing about the beauty of Mati since my college days and I've been always wanting to visit the place. They are saying that their beaches got very fine white sand and the entire place is completely picturesque. One of my highschool friends KC just finished her hospital internship and she wants to have a summer vacation before she could seriously start her review for the medicine licensure exam this coming August. She wants to visit Mati so she persuaded me and our other highschool friend Dominique to accompany her. 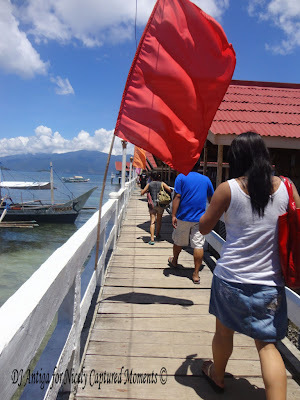 At first I planned not to join but then I realized that this would be the perfect time to fulfill my longed Mati visit. 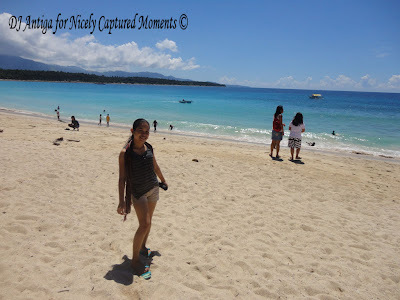 Mati by the way is the only city in the province of Davao Oriental. It is also the capital. We left Davao City at around 8pm and rode the last trip of the van going to Mati. The van had limited stop-overs so we reached Mati in less than 3 hours. KC's cousin met us in the terminal and drove us to Hotel Beatrice where we stayed for the night. The supposedly rest time turned to be an infinite chit chat because one of our (Me and Dominique) college close friends, Jhepoy visited in the hotel. He's a resident in Mati and he has been inviting me since college years to visit their place. It was the second time for Dominique. Even though we slept late, we managed to wake up early and had our early beach hopping. Good thing KC's uncle lent us his car/s that made roaming around much easier. For those who would visit Mati without private vehicles, motorcycles are available for rent. Our first stop is at the famous Dahican Beach. Just look at how beautiful it is. 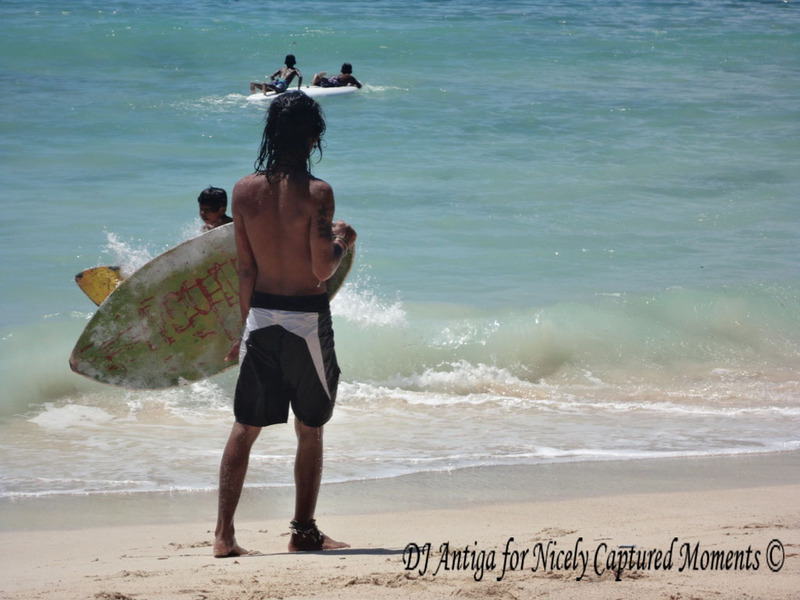 The waves are obviously huge which are great for skim boarding and surfing. Aside from the fact that I can't swim, I'm pretty sure there's no way I can learn to skim nor surf. So I just watched the kids enjoying it. After Dahican beach, we were looking for a place to stay for the night so we had the what so called "beach front desk hopping". 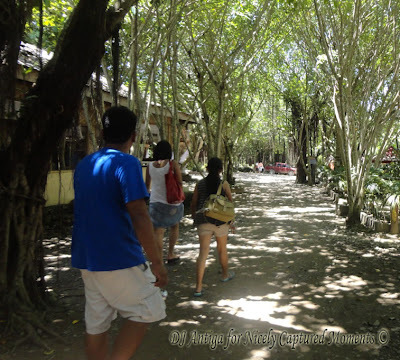 We visited Masao, Gregorio and then finally Jambay. We decided to stay at Jambay and told the managing personnel to reserve one room for us. It's almost lunch time and since your Mati visit won't be complete if you're not going to dine at Seaside, Jhepoy who happens to be the son of the owner called the resto and had our grand lunch prepared. 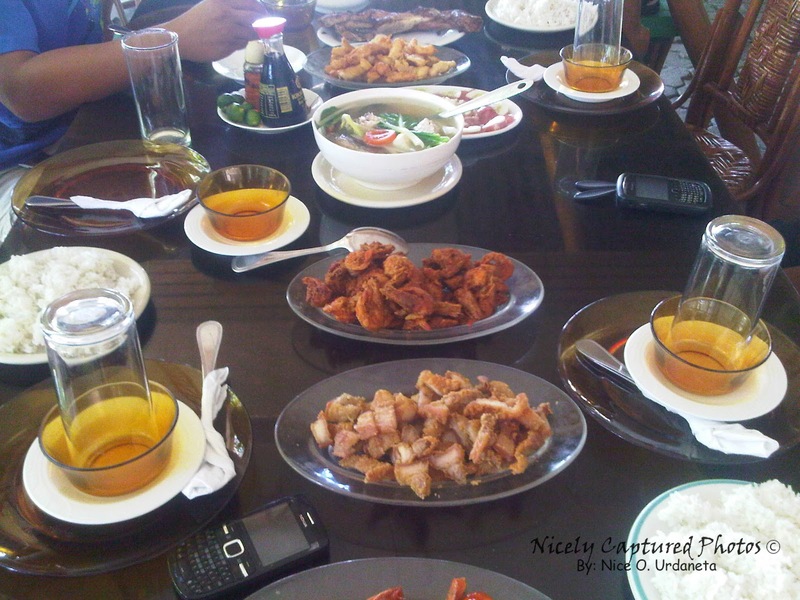 For the detailed post of the grand lunch at seaside you may click here. After the sumptuous lunch, we went to Mayo, one of the baranggays of Mati and dipped into their cold lagoon. If you do not want to burn yourself to the hot sea water, better visit the Mayo lagoon. After several hours of enjoying the cool water, we headed to Jambay. Lucky for us because the tide is already high and the sea water is just so inviting. So we had another round of swimming while watching the beautiful sun to set. We enjoyed the rest of the night singing using the videoke machine while munching our delicious dinner from Seaside.